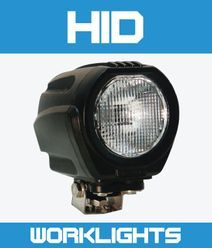 The WD-F18 45 watt work light is made with cast aluminum housing and a toughened glass lens and is completely sealed giving it a dust waterproof rating of IP 68. 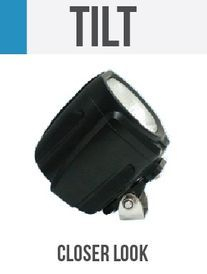 It also has a 3 rubber anti vibration mount & a stainless steel swivel mount with a 10 mm bolt. 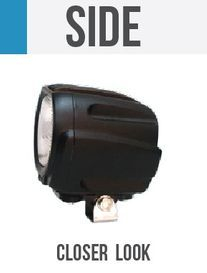 With a low amp draw when running of 3.6 amps and a start up draw 6 amps this light will give double the light output of a similar halogen light with less than half of the power input.This light will pass any test for mining, agriculture and 4x4 off road use. 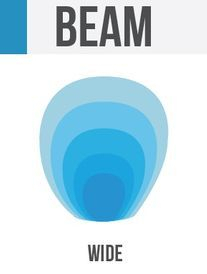 Available in wide flood beam only,this light is commonly used for lighting sprayer booms, as it throws a wide pattern of light.